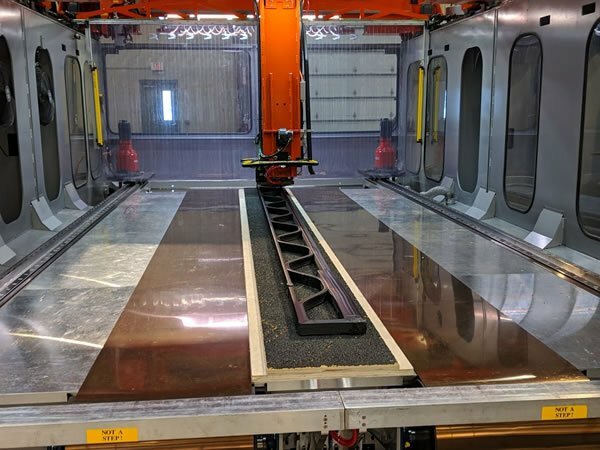 A joint venture program between Thermwood and Bell has pushed the limits of 3D printing, resulting in what Thermwood believes is the largest 3D printed autoclave capable tool ever made. A common limiting factor within aerospace development programs is expensive, long-lead time tooling. Bell, not being satisfied abiding by the industry norms, decided to reach out to Thermwood to help solve this challenge. Shortly after initial conversations with Bell, the Thermwood team offered an opportunity of a partnership centering around the capabilities of their new 60mm melt core technology. 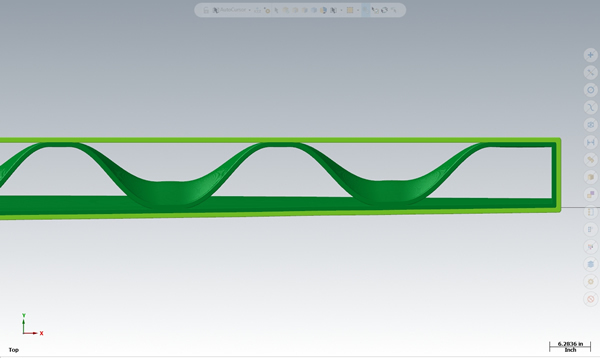 The original challenge for quickly and affordably manufacturing large bond tooling seemed closer to reality than ever before. Bell responded to this opportunity in kind by providing Thermwood a model of a closed cavity blade mold measuring approximately 20 feet long, 14 inches wide and 17 inches high. Tooling must be able to withstand 90 psi at 360°F. Tight tolerances and features were also required to ensure proper mating of the two blade mold halves. Upon receiving the model and requirements, the Thermwood team sprang into action. 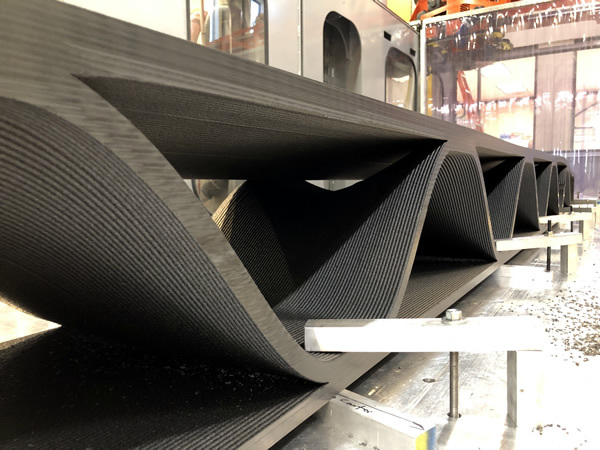 Utilizing their new 60mm melt core technology, they began to print the tool using TechmerPM’s 25% Carbon Fiber reinforced PESU (Polyethersulfone) in one continuous run. Working closely with Thermwood, Techmer has formulated this material specifically for LSAM additive printing. The printable material has a Glass Transition Temperature of over 400°F and can easily survive common aerospace component cure cycles of up to 360°F, at 90psi. The combination of Techmer's new materials and Thermwood's printing technology, resulted in a print time of one tool half in just 3 hours 8 minutes and an “as printed” weight of 542 pounds. Thermwood technicians claim the Techmer PESU material prints as easily as ABS, although at a much higher temperature, allowing quality autoclave-capable molds to be made from the high temperature polymer. 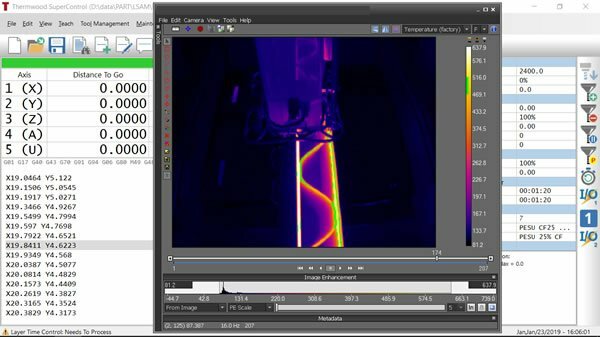 This extraordinary achievement was made possible by a new, larger melt core recently installed on Thermwood’s LSAM system at its Development/Demonstration Lab in Southern Indiana. The standard LSAM machine print head housing can be equipped with different capacity melt cores, each offering different minimum and maximum throughputs. With Thermwood’s room temperature “Continuous Cooling” print process, the cycle time for each layer is determined solely by how long it takes a particular printed polymer to cool to the proper temperature to accept the next layer. Only by printing at the proper temperature can you achieve a totally fused, void-free printed structure that will maintain vacuum in an autoclave without a coating. The print head output determines how much material can be printed during the time it takes for the layer to cool. Bigger print heads mean larger parts, not necessarily faster layer to layer print time. The new 60mm melt core has a measured maximum output of 480 to 570 pounds per hour depending on the polymer being printed and can print over 100 feet of typical print bead (.830” x .200”) per minute. This high print rate, even when processing high temperature material, allows the print bead to be oriented along the length of the tool. This is desirable for Bell, who manufactures large composite parts, because thermal expansion is significantly lower in that direction, minimizing expansion and contraction of the tool with temperature changes. 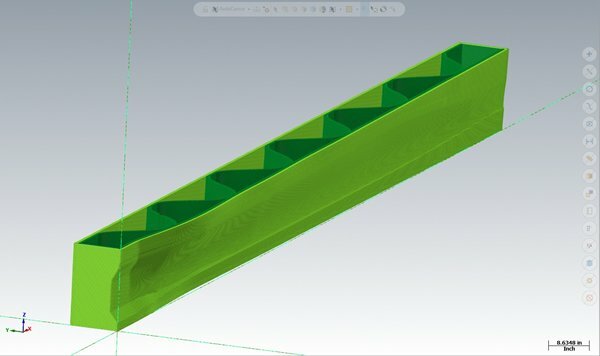 Another interesting feature of this tool is that the internal printed structure supports the mold without actually contacting or touching the back side of the mold cavity. This means air can flow freely under the entire formed part in the autoclave, making the part curing process easier and more consistent. 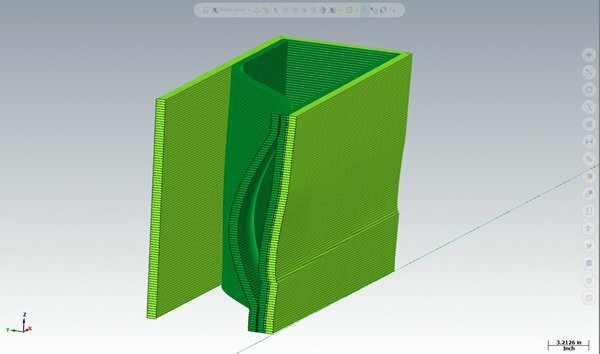 The ability to incorporate a complex internal design, such as this, is another major advantage of using additive manufacturing for this type of tooling. Thermwood’s LSAM Print 3D slicing software specifically supports programming of involved internal structures such as these. Bell is continuing to investigate integrated technologies that support multiple manufacturing processes and tools. The LSAM is capable of supporting printing processes as well as trim and drill processes to meet aerospace specifications. Once printed, the team began to machine the bond tool half by utilizing the other aspect of the LSAM system. The total machining time of the lower blade mold half was 40 hours. 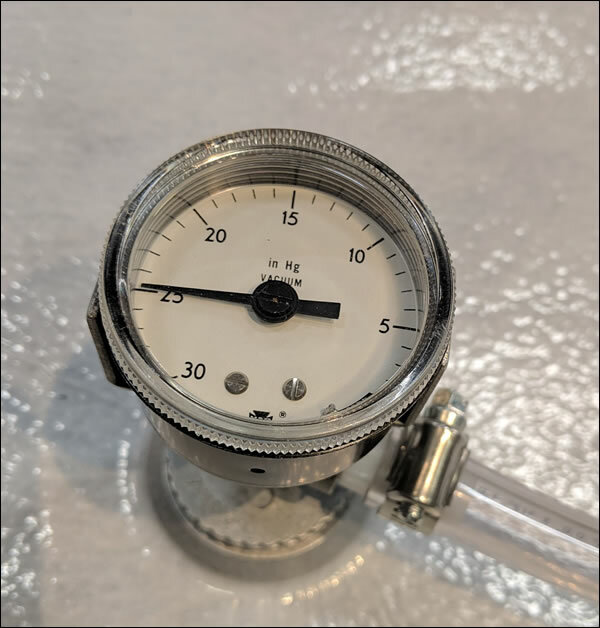 The completed bond tool was able to maintain Bell’s vacuum standards required for autoclave processing right from the machine, without the need for a seal coating. 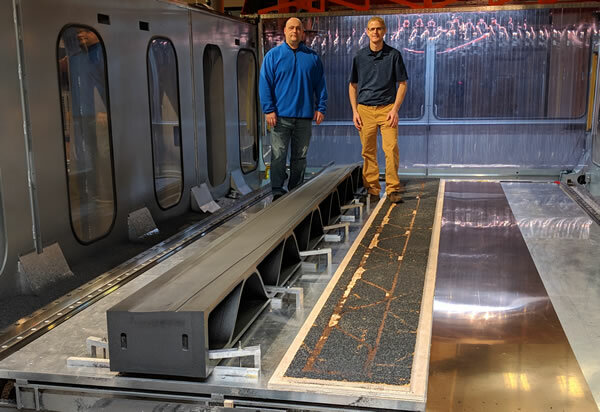 The Thermwood team will print the second half of the blade mold, with the intention of having Bell cure a full molded blade within the final additively-manufactured bond tool, another first. Further testing will be completed by both Thermwood and Bell teams on PESU printed molds, to continue innovating in this space. Thermwood believes recent LSAM technology advances such as Vertical Layer Printing and Changeable Melt Cores (coupled with polymers specially tailored for LSAM processing), are opening exciting new possibilities for additive production of even larger and more technically complex components. Much of the technology used in Thermwood's LSAM machines and print process is completely new. Thermwood has already received numerous patents on these revolutionary developments and many more are in the works. 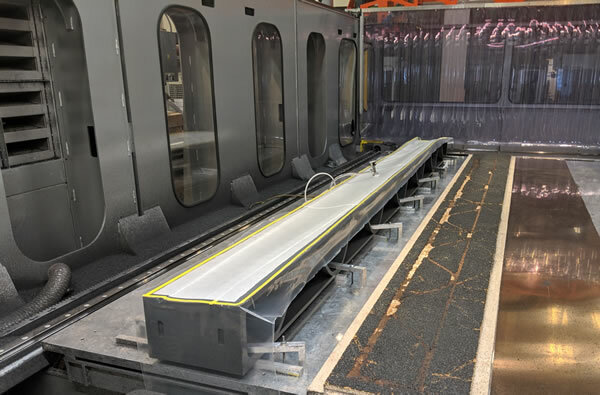 In the last year, Thermwood's LSAM additive manufacturing systems were the clear market leaders in the sale of large scale 3D printing systems for thermoplastic composite materials, selling virtually all systems in the US during the year. LSAM is truly state-of-the-art in the exciting new world of large scale additive manufacturing.